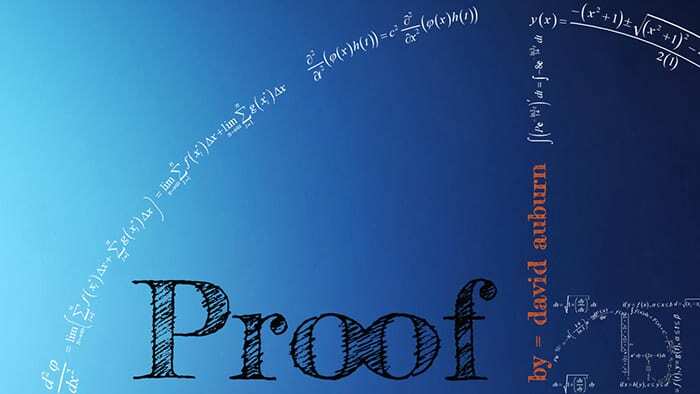 After their “spectacular” regional debut at the Tampa International Fringe Festival (according to Creative Loafing), Innovocative Theatre is thrilled to partner with Stageworks on the company’s second production: David Auburn’s Pulitzer Prize-winning drama PROOF. The show runs at the famous Channelside theatre July 20-30. Auburn’s Tony Award-winning script, which was later adapted into the 2005 film starring Gwyneth Paltrow and Anthony Hopkins, examines the difficulties of loving relationships within a neurodiverse family, and the challenges a neurotypical outsider must confront when he begins to care about one of them. The plot spirals around Catherine, a bright young woman who has placed her life on hold for years to care for her father, Robert, a brilliant but increasingly unstable university mathematician. When Robert’s condition worsens, sudden changes must take place. But dramatic questions arise as Catherine’s father, a smothering older sister, and a young math professor begin to focus on the long-neglected daughter. How much of Robert’s mathematical genius has Catherine inherited—and has she inherited his instability as well? Auburn’s suspenseful play reframes age-old issues that apply across a broad range of human relationships. In a budding young love, among old family ties, and with a just-discovered, potentially ground-breaking mathematical paper, the questions are the same. How much of someone else are we prepared to accept on faith? What will we never accept about them without proof? Can someone we doubt ever fully prove themselves—and what could such proof look like? After what critic Mark E. Leib described as her “shattering performance” in DARK VANILLA JUNGLE, Marie-Claude Tremblayexplores the psyche of Catherine, the troubled young woman at the heart of this provocative family drama. Regional stage veteran Dennis Duggan, whose portfolio includes awards for roles in Of Mice and Men and A Few Good Men, plays Catherine’s father, Robert. Innovocative founder and artistic director Staci Sabarsky will direct and take the role of Catherine’s older sister, Claire. Newcomer Devin Devi makes his professional debut as Hal, a young math professor who is falling for Catherine. Like DARK VANILLA JUNGLE, PROOF furthers the company’s plans to produce shows that are innovative, evocative and thought-provoking – the elements that make up Innovocative’s hybrid name. The company will also partner with the Hillsborough chapter of the National Alliance on Mental Illness by hosting a talkback session with chapter president Karen Fredricks and Dr. Marketa Wills after the July 23 performance. “It’s important that we portray Robert’s decline in an authentic way because so many Florida families are dealing with mental health issues including manic-depression, Alzheimer’s, dementia, and on-going care for aging family members, that PROOF touches on,” states Sabarsky.